I’m sure most of you have seen or read The Hunger Games. Remember the phrase, “May the odds be ever in your favor!” as they sent the tributes to most likely DIE in the ring? Yep, that pretty much sums up PMS for me as a mother. Have you ever tried to mix PMS and parenting? It’s a whirlwind of emotions that will knock your socks off! 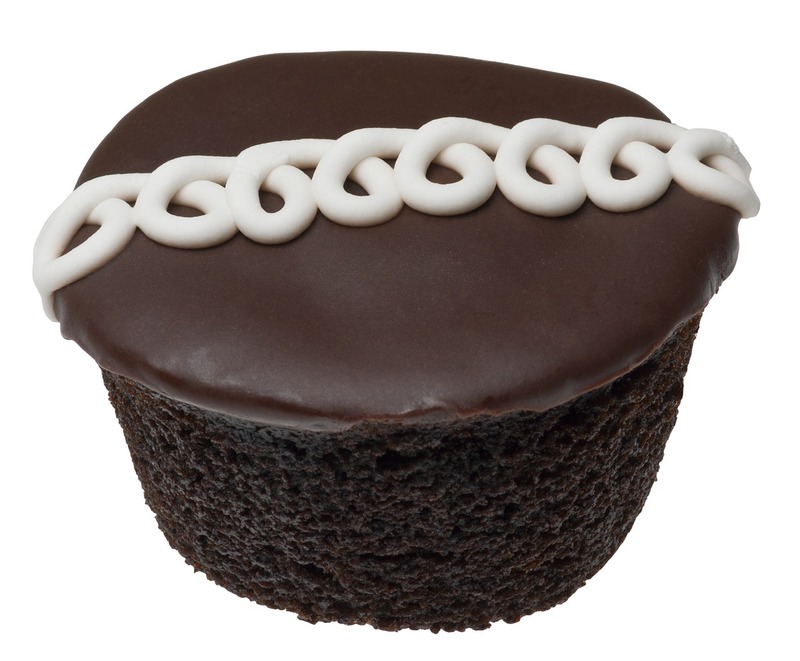 As a mom, PMS is a whole new ball game. There are no secrets anymore, and it gets even funner the more kids you have! If you are blissfully unaware of what time of month it is, you might wonder what on earth is wrong with you. Why is your life suddenly crumbling and falling apart? Why is your husband suddenly being such a jerk, and why is the whining coming from your kids mouth suddenly making you want to crawl into a black hole with a big bag of Cadbury Mini Eggs and french fries and NEVER come out?? Gotta love Easter clearance! These might even last me an entire day! Just when you think you’ve reached the point of no return, you receive a wonderful gift. Your Period. Your husband, who’s been hiding under the bed for the past 7 days, finally emerges, and life is grand again…for 3 weeks. 7 Helpful Hints for Dealing with PMS, as a husband, boyfriend, co-worker, or…whatever! 1. Be ‘practically perfect’ in every way cuz if you aren’t…you’re gonna hear about it man! 2. DO NOT EVER refer to the P word as the reason behind her sudden mood swings. If you slip and forget, be sure to duck and cover…fast! 3. Keep a rather large supply of chocolate and salty foods close by at all times. Make sure to hide it from the kids! 4. Do not attempt to argue or start a fight during this time. It’s JUST NOT WORTH IT! 5. Forewarn your children. Only YOU can see the signs when the volcano is about to erupt. Your children are only innocent bystanders. Parks will become your best friend. 6. Remember, “this too shall pass” and don’t give up! Avoid the temptation to cross off each day on the calendar hanging in the kitchen. Use your phone instead! 7. If all of the above fails, find a deep dark place (like under your bed), take cover and emerge when the storm is over. Pat yourself on the back. You made it another month! 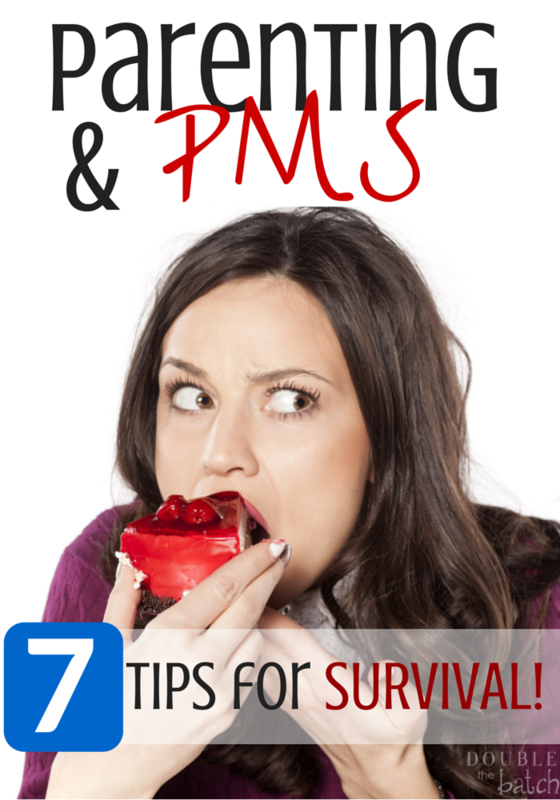 7 Helpful Hints for dealing with PMS as a woman, wife, mother…or all of the above! 1. DO mark the calendar! Big red x’s are appropriate to remind not only yourself, but everyone who lives with you too! 2. Do NOT attempt to save the world during this week. Leave that to the women who are still happily floating on their 1, 2, and 3 week clouds. 3. Men are usually oblivious to this kind of thing. Do your husband a favor and forewarn him of stormy weather that is imminent. He might actually help you ‘take cover’ and even be a life saver when you think you are drowning. 4. Be gentle with yourself. PMS isn’t an excuse to be cruel to everyone around you, but forgive yourself if it’s hard to find your halo during this time. 5. Give yourself permission to chill! I’m braving the storm even as I’m typing. Today was tough! My 2 yr old flooded the bathroom upstairs and the ceiling downstairs! I completely lost it! My children were very afraid I’m sure! At least once today I told my husband that I needed to go in my room and just chill before I committed a felony. 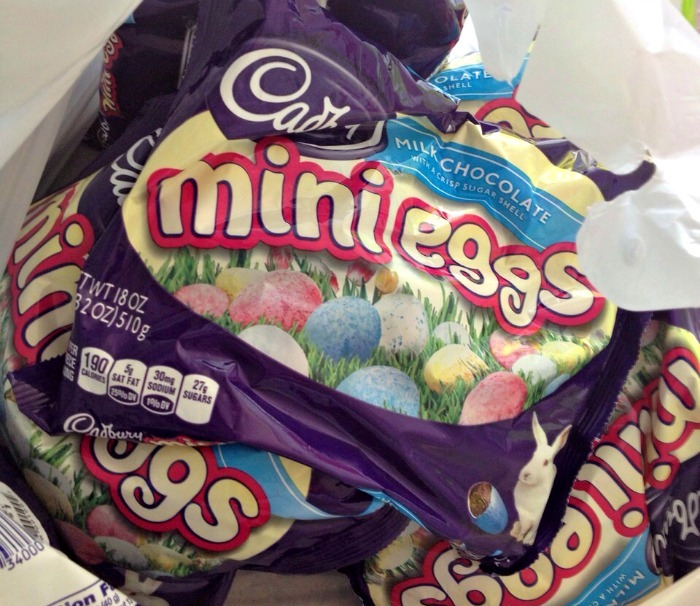 Feel free to take the Cadbury eggs and potato chips with you! 7. If your husband is hiding under the bed, drag him out and tell him to take the kids to the park! Then fill up the tub, put on some relaxing music, and eat some food rich in nutrients CHOCOLATE!